Don’t look for Packages, Look for candid wedding photographers. 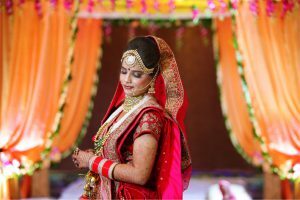 Searching and finding out the best candid wedding photographer will seem to be a very much tedious task, Not because there aren’t any good wedding photographers in kanpur and arround, but because deciding the best wedding photographer suited for you. This will almost as difficult as finalizing your personal wedding Lehenga or Jewellery, you will have plenty of good choices but you need to finalize only ONE. And the moment you have decided, you feel the other one is the better option. You are Doing it all the wrong way… ! Why ? In our over three decade long career we have seen brides and grooms follow a typical pattern in selecting their Candid Wedding Photographer. First they will start calling random phone numbers of wedding photographers from social media or search results, then they ask them for wedding packages, they will know the rates, and they loose the motivation to book. About 3-4 months before the wedding, they again remember that the candid wedding photographer has not been booked and now it is time to book the wedding Photographer for wedding, maybe otherwise the good wedding photographers in kanpur won’t be available. They will again open up the rates, sort down the name/numbers those have quoted less, and then again call them for final prices. … only to find that most of them have got booked, they now gets scared. Now the options left are either higher than budget or so called professional wedding photographers (those who have the impossible capacity of taking up infinite number of bookings no matter what the quality can be delivered). The Wedding day comes nearby and they just book the so called wedding photographer to get rid of the stress. Now they compromise on what they get as the final result after the wedding and regret their decision for hiring a cheap wedding photographer. Or if they realizes before the D day that they are not going to get the real artistic photos from the cheap ‘studiowalla’ they have booked and then again starts looking for a single ‘Candid Photographer‘ to do the ‘Special Candid’ images. Some of the good candid photographers refuses to work with a separate traditional photography team, because they are afraid that, non professional wedding photographers might use harsh lights which will kill the mood of ambient light and eventually worsen his photos, as well as reputation. Some of the Photographers will agree to work but asks for the money which doubles up as they had already booked a low budget wedding photographer. they ends up paying double the money and get a huge chunk of Photos. Related Read : Are low cost Photographers really Bad ? Relax for a while, you have no hurry, just think few things before the search. For a few moments, just forget all the marriage photographs you have seen everywhere online or physical. Try to idealize your own wedding, imagine the wedding photos you would love to have. In a calm and cool mind, take a pen and paper and make a proper budget ideally it should be around 10% of the wedding decor and catering budget clubbed, decide on a price you would like to give to the wedding photography team that will freeze the best day of your life with the way you want it to look like. We can’t suggest you anything, it is solely on your preferences and affordability. 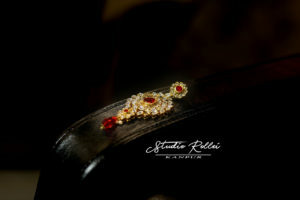 Generally we have seen people spend around 10-15% of their total wedding budget into photography, but even this is also a small example and doesn’t have any such official substances. After you have decided on the wedding photographer budget, start looking through profiles of photographers. Leave aside the portraits, look for compositions and the way he has captured real expressions. You will feel that, there are very few photographers, who actually are efficient in the things you are looking for. Most of the others are involved into the short-cut of Portrait-closeup-candid style. Only few have the maturity to create a real story or bring out the best part of the wedding moments. Very few photos are worth a second look. You will be left with a handful of profiles only, maybe a dozen if you are very hard working. Now you can do the calling and getting prices. Remember, even if all of them are not affordable, try to go for the wedding photographer whose work have really moved you. He is the real artist you need for your wedding photography, ask him to give digital files only if getting an album seems out of budget. You can always buy an album later, maybe in few months afterwards. Live happy, your memories will be preserved by the most suited candid wedding photographer, and not a young team of ‘starving college kids‘.